Simply by using downward pressure and a ‘rocking’ motion, this garlic rocker tool crushes and slices garlic cloves quickly and easily, forcing the pieces up through the mesh of holes in its base. The crushed pieces are then held in the curved design, allowing them to be spooned or scraped conveniently into a pan or bowl. 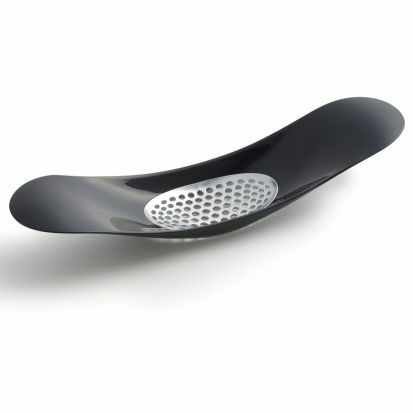 The garlic rocker is easy to clean under running water but is also dishwasher safe.